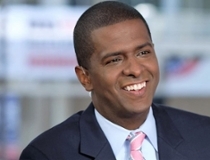 CNN commentator and former South Carolina state representative Bakari Sellers is the keynote speaker for the annual Martin Luther King Jr. celebration at the University of North Carolina Wilmington on Tuesday, Jan. 22. “When Tomorrow is Today: The Fierce Urgency of Now!” begins at 7 p.m. in the Kenan Auditorium. The celebration also features poetry and music, including a performance by the Williston Alumni Choir. To kick-off the celebration, the Upperman Center and UNCW Office of Housing and Residence Life will host a screening of While I Breathe, I Hope, a documentary about Bakari Sellers and what it means to be young, black and Democrat in the South. The screening is scheduled for 6 p.m., Jan. 21 in King Hall auditorium. For the 2018-19 academic year, the Upperman African American Cultural Center’s programming has sought to consider what the future looks like. “We thought that Bakari Sellers, as a young lawyer, civil rights advocate and journalist, could provide insight into our future,” said Palmer. Sellers made history in 2006 when, at just 22 years old, he defeated a 26-year incumbent state representative to become the youngest member of the South Carolina State Legislature and the youngest African American elected official in the nation. He was the 2014 Democratic nominee for Lieutenant Governor of South Carolina. Admission to the MLK observance is free, but tickets are required. Tickets are available at the Kenan Box Office from noon to 6 p.m., Monday through Friday. A maximum of four tickets are allowed per individual. For more information, contact Tiffany Campbell at campbellt@uncw.edu or 910.962.3303; or visit uncw.edu/upperman.